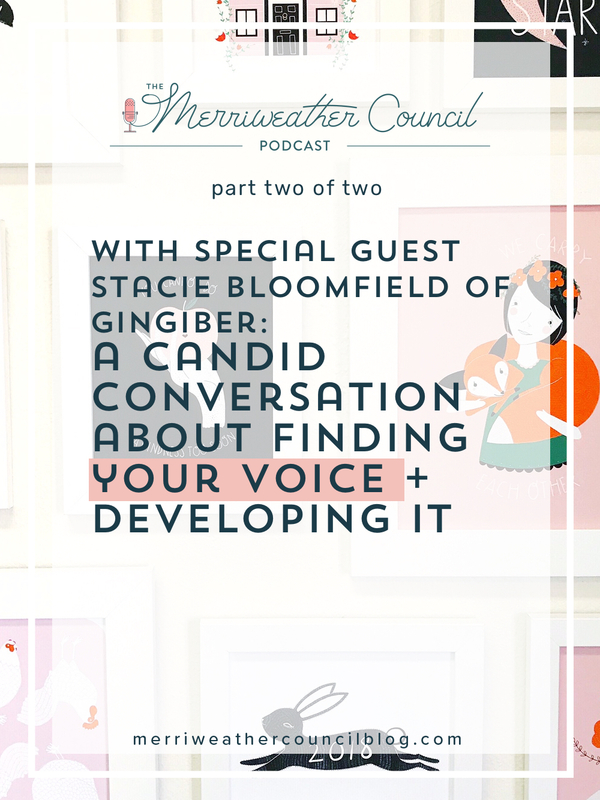 In part two of my candid chat with Stacie Bloomfield of Gingiber, we are speaking about finding your own voice and developing it over time in your work. Stacie has so much experience trying new things which gives her a lot of insight to speak with. I’m excited for you to hear this episode on the podcast today. If you missed the first part of our convo catch up on it here. If you have maker friends who are just starting out or who are struggling with their unique style and voice, please share this episode with them! In this episode Stacie and I speak about finding your voice as a creative person. We also chat about her struggles with moving into a new product line, creating a brand and sticking it out through the hard times. Of course we also spoke about the struggle of comparison as well! This episode is not to be missed. Huge thank you to Stacie for sharing so openly! It’s wonderful to hear real life stories from a veteran business owner and creative! If you aren’t already, be sure to follow Stacie on Instagram where she shares about her business ups and downs and see her beautiful new work! You can also find Stacie on Facebook! Go say hi!